Wonderful, you’ve decided to bring home a new dog; hopefully adopted from a shelter or rescue. That’s great! Since all dogs are capable of forming a loving bond with you regardless of age, a puppy doesn’t have to be your only choice. Welcoming a new dog into your home is rewarding but will require an adjustment for all concerned. It’s important to establish trust & a sense of safety. Give the new dog the opportunity to explore his/her surroundings safely & discover any new roommates on his/her own terms. Our experience has been that meeting outside in a neutral zone is best form most dogs. Be patient, your new family member has a lot to learn, such as house rules, his/her place in your “pack”, as well as new commands & routines. It can all be a little overwhelming so give your new dog time to adjust. Learn to read your dog’s body language. Make eye contact often. 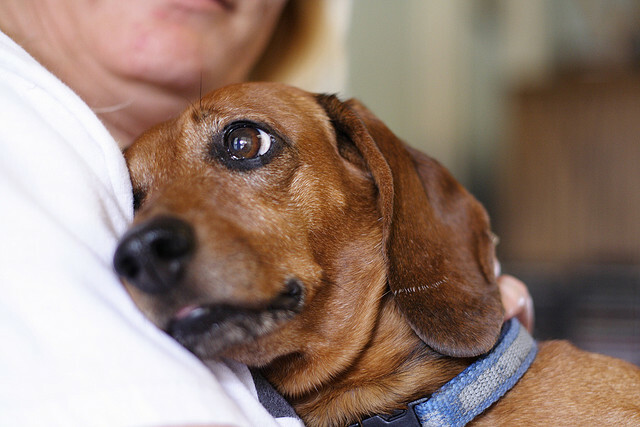 It’s important to recognize signs if your dog is frightened or feeling nervous. Remember to create confidence & not enforce anxious behavior. Also learn the dog’s likes & dislike. For example, not all dogs like to be held close. When I first came to live with my huMom I preferred to lean on her rather than be hugged. I love to be hugged now. Take time to learn what games your dog prefers & their favorite toys. Spend as much time together as you can. Play time & walks are excellent for bonding as is daily training. Exploring the neighborhood is a good way for your dog to feel comfortable in his/her new surroundings. Be consistent, be patient & in a short time, your new dog will be a solid member of your family.